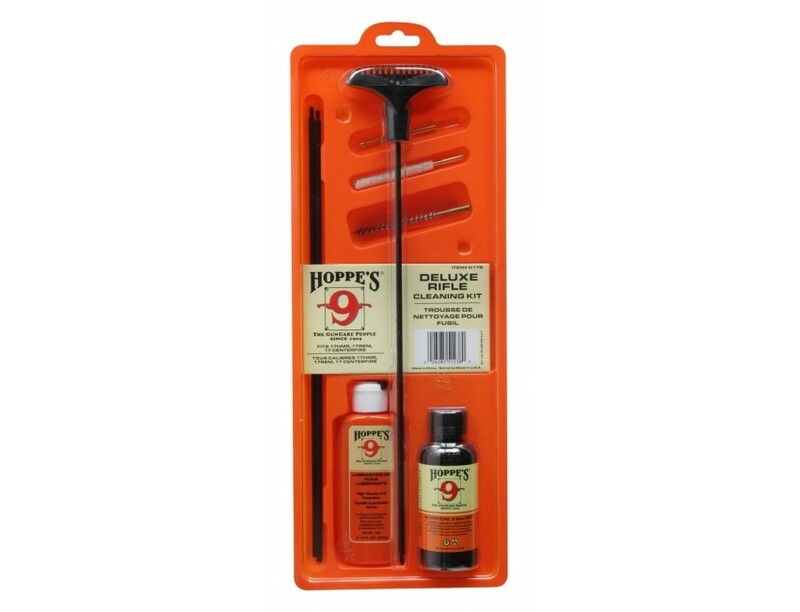 Hoppe's Rifle Cleaning Kit includes No. 9 solvent, No. 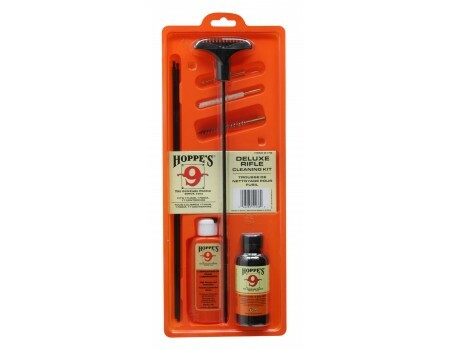 9 lubricating oil, and an aluminum rod with a knob, slotted ends, and brush to keep your gun clean and shooting properly. This kit comes in a clamshell packaged.